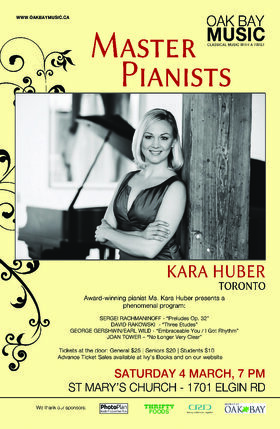 Concert pianist Kara Huber has made numerous solo appearances at the Kennedy Center, the Piano Virtuoso Series at the Canadian Opera Company, and the Rising Stars Piano Series in Southampton, New York. 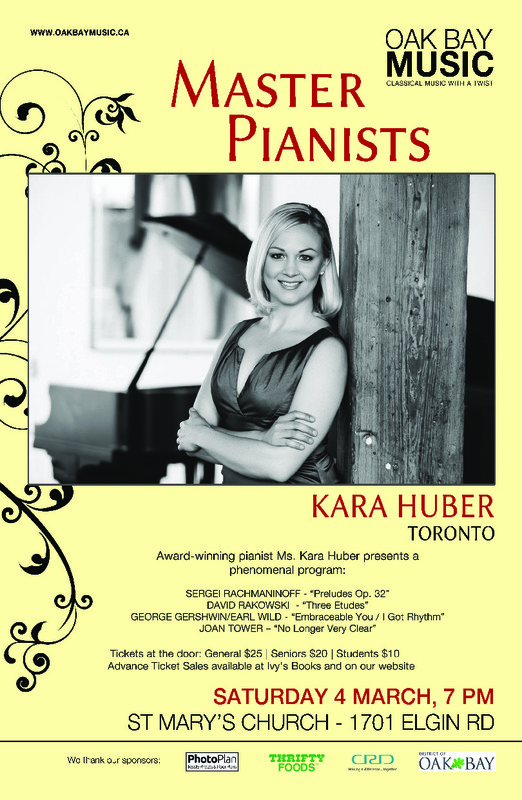 On Saturday March 4th Ms. Huber will present her phenomenal solo program, with works by Rachmaninoff, Rakowski, Tower and Gershwin, at St. Mary's Church (1701 Elgin) in Oak Bay. 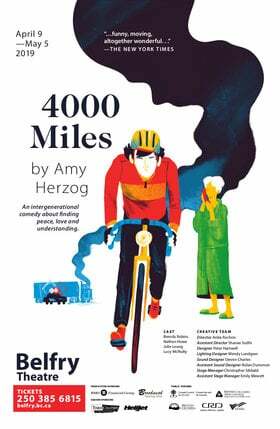 Ms. Huber is scheduled to perform this program at the prestigious Carnegie Hall later in March.